This year, it's all about the retro Grandad shirt. The patterns, colours and cuts are all reasons we love them so much. 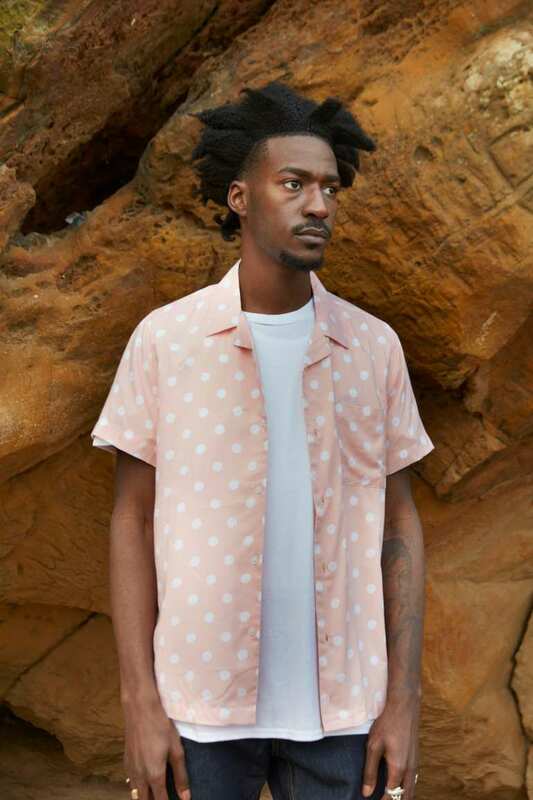 With a boxy and looser fitting design that's combined with exciting and interesting aesthetics, this style of shirt is perfect for the summer months. Read more Style Guide features and check out our Store. This new Spring Summer trend is taking us back to the 80s and 90s with a style that's very nineties revival mixed with eighties flamboyancy. It's the shirt of the season. With a boxy fit, thin material and selection of bold and sometimes event bright colours and patterns involved, it's a retro style that we've started to love. And what makes this even better is that they're perfect for when the weather gets hot. 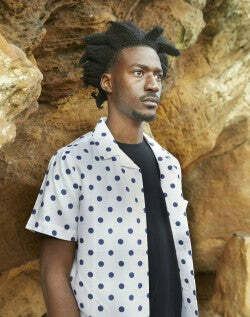 They're shirts that will keep you feeling cool as well as being aesthetically cool. So, here's what you need to know about this new style staple. There are loads of collars around for you to choose from. The button down or the manderin, the cutaway or the cuban, each one has it's own individual look and each one has the perfect place to be worn. So when it comes to choosing your selection of summer shirts, what should you be looking for? You don't want to look too formal but you don't want to look too 80s either. Therefore, as most people tend to say, you need to find the right balance. Also known as the revere or camp collar, this style is the summer brother of the Oxford. It's an old school summer staple that's come around once again and we can't seem to get enough of it. Distinguished by the two-tiered collar, and looser fitting around the neck, this is the ideal style to go for when it starts heating up outside. Usually seen on a selection of Hawaiian style shirts (maybe the reason they're so summer appropriate), the shirt has had a 2018 makeover. When talking about these shirts, we'll start with the fact that they have a looser cut to most others that you may own. This style will therefore have you feeling cool and looking cool. Plus, due to the shape of this boxy style, most guys can pull it off. no matter your body shape. You just have to make sure that you don't go for something that's too oversized because believe it or not, you can take it too far. The look will also depend on what you style them with. Both straight and dad style jeans or trousers look great when paired with the shirt style, but if you go for things that are too baggy, you can simply look like you are actually stuck in the 80s. The boxy fit will take you back to the days when your dad would rock up to the office in a baggy but 'smart' shirt that was tucked into a pair of high waisted trousers. He would have even gone for some braces and oversized glasses if you're lucky. The 80s were a vivid era for fashion so we say, take your favourite parts and modernise them with the rest of your wardrobe. The shirt for example, it's having its moment this year so pair it with slim fit jeans, wear it open over a T-shirt and finish off with some Ray Bans. This will take the best parts and make them look stylish. You may already have a load of shirts stuffed into your wardrobe that you whip out every summer but this year, we think it's time for a refresh. And by refresh, we're going to say you should liven up the colour palette and start mixing up the patterns a bit. It may sound daunting but once you've got yourself the first one, like all good things, you're sure to be left wanting more. When it comes to the patterns; stripes, spots and geo prints are all Idle favourites. Because we're going for the 90s revival vibe here, you need to remember that want the retro and vintage style incorporated into your look but in a subtle way. You don't have to be overly bold but you do need some kind of interest. Subtle stripes are the easiest to start with as you can build them into your wardrobe without having to revamp the whole thing. For the colour palette, we want to see you going bright. We want to see blues, pinks and greens. 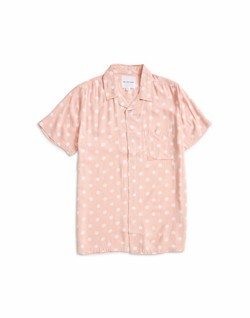 This can be blue and white stripes, pink tones on other pink tones or even simply a grey polka dot sequence dotted over the shirt. The 80s and 90s brought us bold colours and the idea that colour blocking looked cool. You know what we mean right? Those retro styled sports jackets that included all the primary colours in one way or another. Well, this look has been brought back, just in a more subtle and up-to-date way. Styling your summer shirts has never been easier. The shirts are the main attraction, so you need to keep the rest of the outfit pretty subdued. Pair with complimentary colours that work with the main shade of the shirt and you'll be good to go. Blue jeans will always work well and can be worn with a pair of Converse for a real 90s revived look. Chino's and cargo trousers are making an appearance again this summer so if you fancy swapping your jeans for something lighter, then this is your answer. 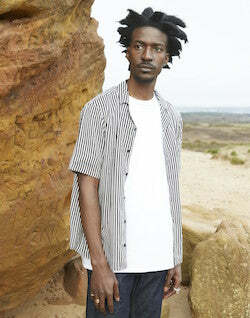 As these men's summer shirts are fairly casual, you should be pairing them with equally as casual pieces of footwear. Trainers are therefore your best bet. The retro kind if you can. You can even opt for a coloured style if you're really feeling the theme. Just keep them clean and tidy, because even though we say 'retro' trainers, we don't mean 'battered and old' trainers. This summer we're giving you the option to go big. Big on colour, big on pattern and big on style. The 'Dad' style shirt has made it's come back so if it's turning heads on the catwalk, it'll sure to be turning heads in our life. The looser cuts and 90s vibe make this seasons style one to grab as soon as you can.